The members of Eclection literally hailed from the four corners of the earth. Australian bassist Trevor Lucas and British drummer Gerry Conway would associate with Fairport Convention in the future. Norweigan guitarist Georg Hultgreen(Hultgren/Kajanus) composed most of the songs, along with Canadian lead singer, guitarist and songwriter Michael Rosen. Kerrilee Male, from Australia, rounded out the lineup as the group's second lead singer. The group was very often compared to Fairport Convention for their sound AND west-coast California bands such as the Mamas & the Papas for the vocal harmonies. Fairport, however had more of a rock sound, and Eclection possessed four talented singers (all but Conway sang), all of whom were far more dramatic and emotional in their delivery. The music, while often melancholy in tone, is striking nonetheless. The band often mixed electric and acoustic instruments together, while at the same time several songs also feature orchestration by Phil Dennys. This gives the material an almost classical feel, and definitely highlights the material rather than burying the basic folk-rock sound. 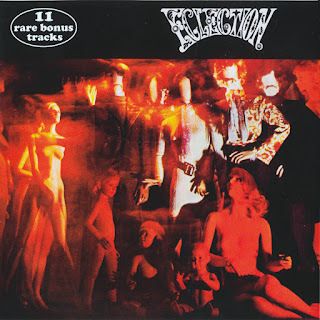 Group left behind only one large disc, "Eclection", recorded yet Kerilee Male, produced by Ossie Byrne, collaborator of The Bee Gees and released in June 1968 by Elektra. 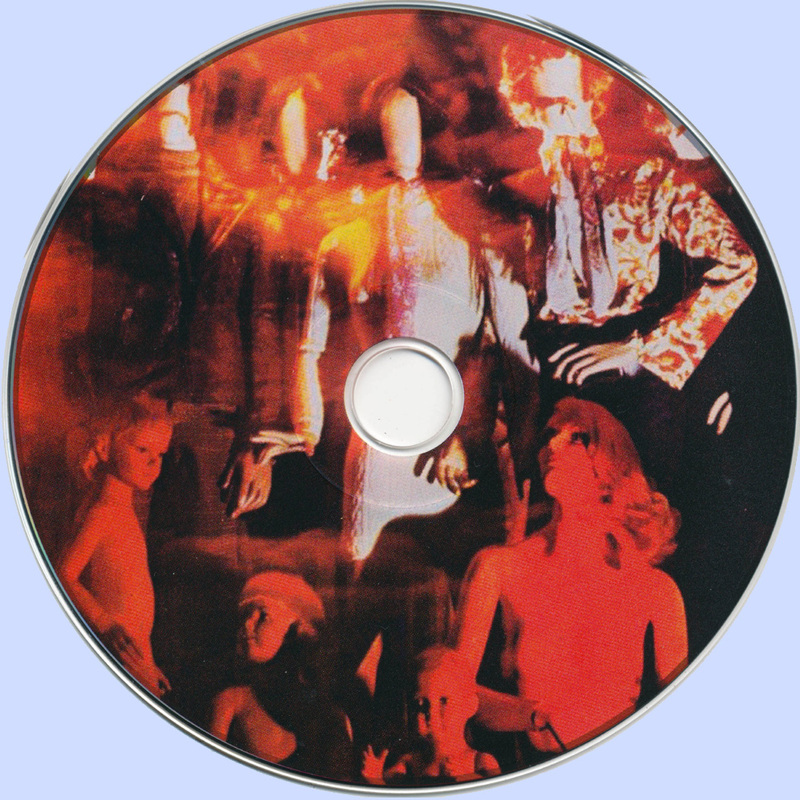 Album, which was accompanied by two singles ''Nevertheless''/ ''Mark Time'' and '' Another Time Another Place''/ ''Betty Brown'',been a captivating work of folk-rock originates from the tradition of different nations (eg, ''Nevertheless'', ''In Her Mind'', ''Violet Dew'', ''Morning Of Yesterday'', ''Confusion'', ''Will Tomorrow Be The Same'') Sorry,disappeared on the market. The songs are aided by strings was in the background, which to some may seem a bit old-fashioned, but this music is just such, no other charm ... In the song "In The Early Days" sung named Trevor Lucas, later to become a musician Fairport Convention and Fotheringay, privately husband Sandy Denny. Beautifully helps him a trumpet. Formation, Henderson already in place Male, returned to the studio to record two more singles: ''Please'' (on page B old song: ''Saint George And The Dragon'') and ''Please Mark II'' (on page B old song: ''In The Early Days''). But they did not gain popularity. Discouraged musicians undertook the decision to terminate Eclection. Rosen came later to Mogul Thrash, Hultgren as George Kajanus success of Sailor and Palmer became involved with the Family. Lucas and Conway continued activities exercised in Fotheringay and Fairport Convention. I appreciate the rip. However, these tracks seem to have some compression artifacts. I'm aware they're all flacs, but I can't help but notice audible artifacts that sound as if they were at one point encoded to something like 112kbps mp3s. It's most noticeable in quieter moments. Hi Square, I have this album too and those artefacts are down to the mastering I believe? I know what you mean. I think it's either original master tape wear.. or it's been remastered from a second generation source... or from vinyl and polished up?... It's not great is it, but that's all that's currently available. even the rip isn't mine, I have no reason to doubt that they're lossless, beside that I don't beleive in any of these audiocheckers and trust my ears only, note that this is a 1968 recording. but deliberately I haven't included them in the file.